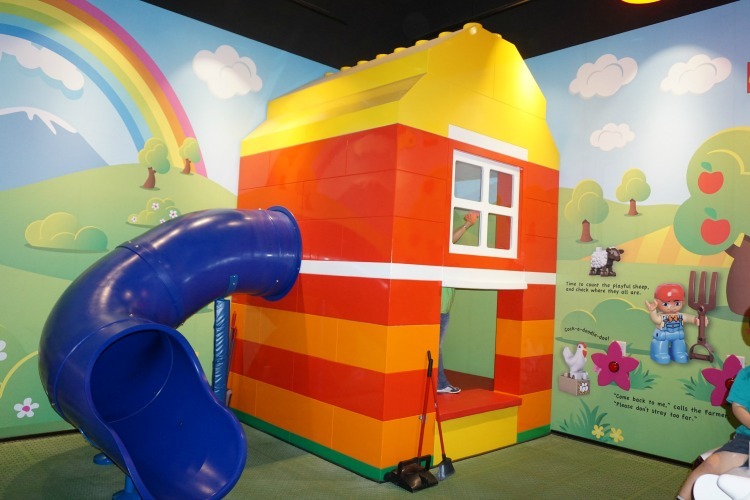 Did you know LEGOLAND Discover Centers are not only located in Florida and California? 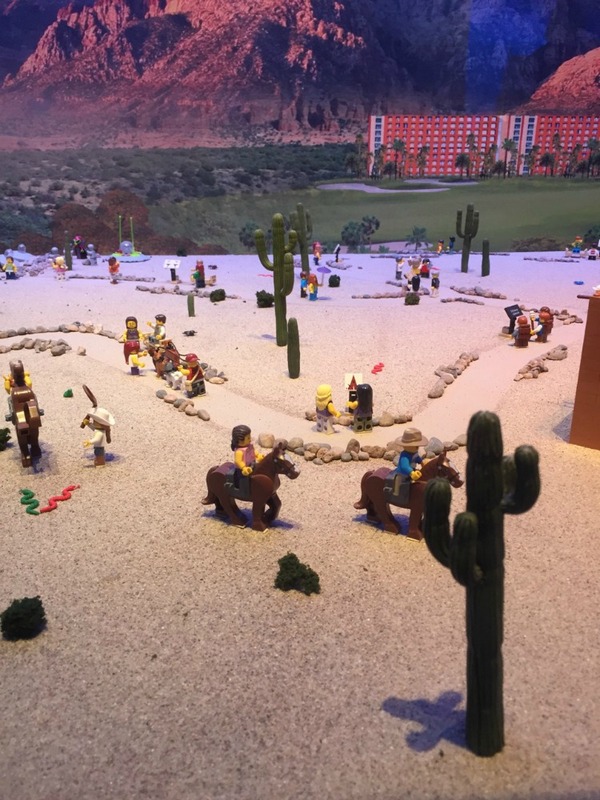 Multidimensional TravelingMom and her family frequently visit the Arizona LEGOLAND Discovery Center. 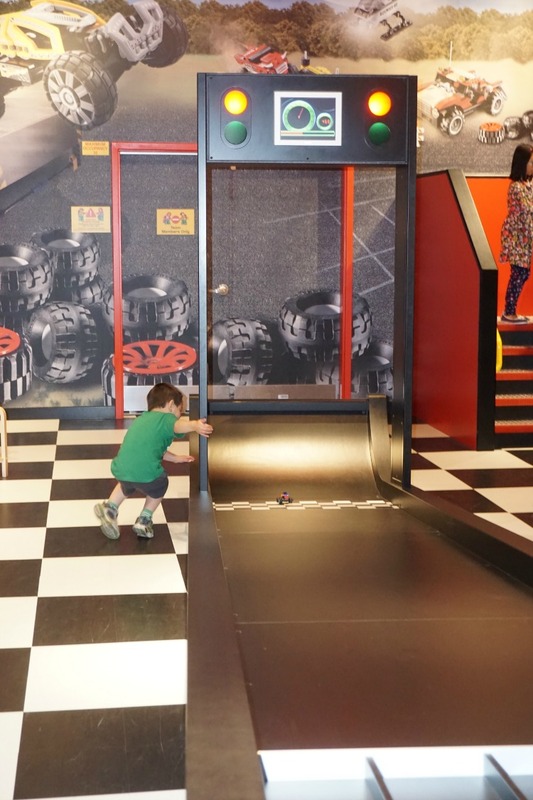 Here are 7 best reasons to visit Arizona LEGOLAND Discovery Center with kids! Looking for a family-friendly attraction near Phoenix, Arizona? 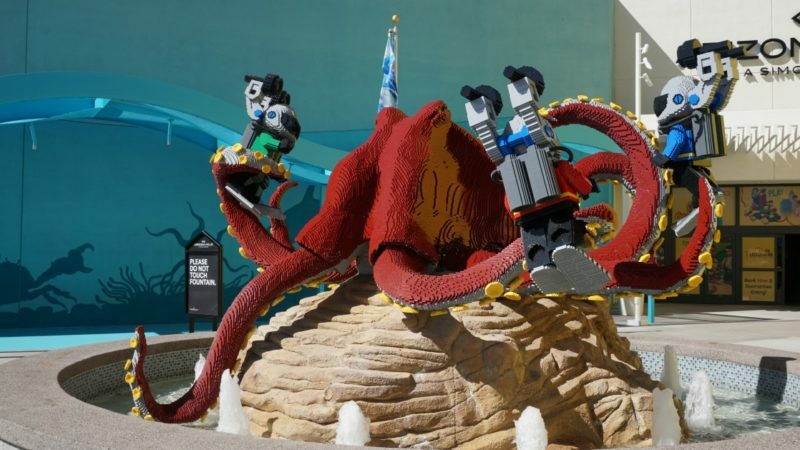 While most people are familiar with the LEGOLAND theme parks in California and Florida, many people don’t realize that there are also a limited number of LEGOLAND Discovery Centers located in major cities of the United States. I am extremely happy there is a LEGOLAND in Phoenix, Arizona. It is perfect for a wide range of ages – from toddlers to preschoolers, to tweens. My preschooler loves all the different exhibits and interactive stations at the Arizona LEGOLAND Discovery Center. 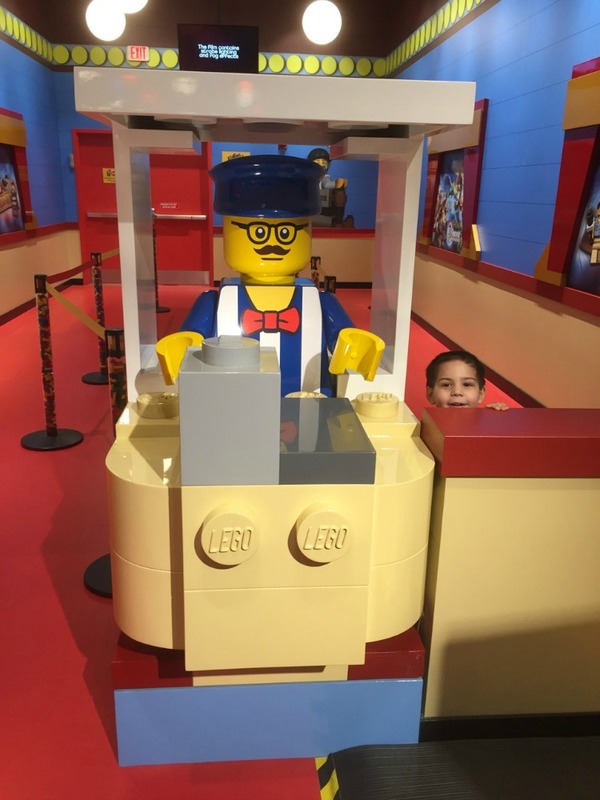 As a result, there are 7 best reasons to visit Arizona LEGOLAND Center with kids! *TravelingMom Tip: Visit earlier in the day. As the day progresses, the Arizona LEGOLAND Discovery Center becomes more crowded. 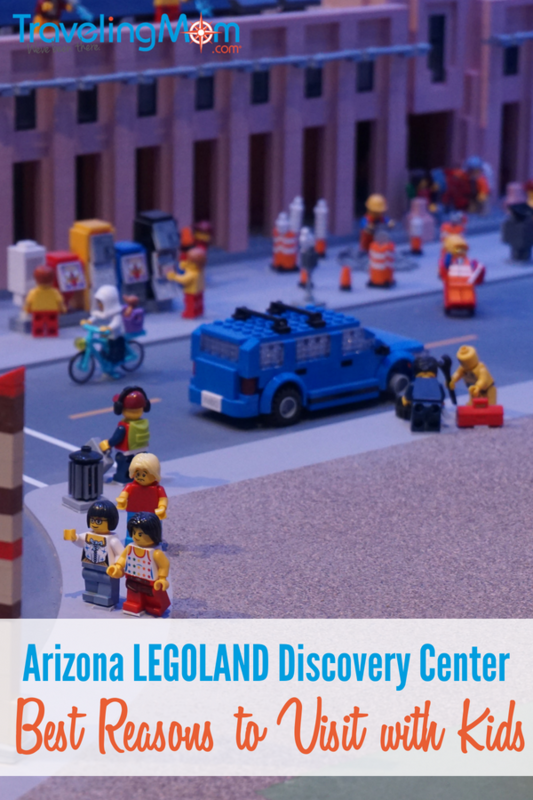 One of the best reasons to visit Arizona LEGOLAND Discovery Center with kids? The rides! 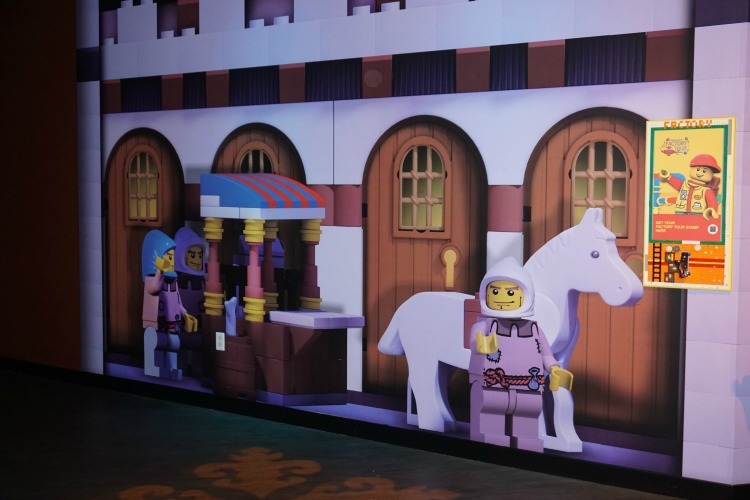 The Arizona LEGOLAND Discovery Center has two rides: the Kingdom Quest Laser Ride and Merlin’s Apprentice Ride. My son likes Merlin’s Apprentice Ride more, mostly because as you pedal, the ride goes higher and higher. I personally like the Laser Ride more because it is more interactive. We also really enjoy the movie theater, which plays different LEGO movies in 4D. We always make sure to watch at least one movie when we visit. Some of the movies include Legends of Chima, NEXO Knight, and the LEGO Movie: A New Adventure. We enjoy the movies because they have fun special effects, like wind blowing and water spraying the audience members as well as raindrops during certain scenes. 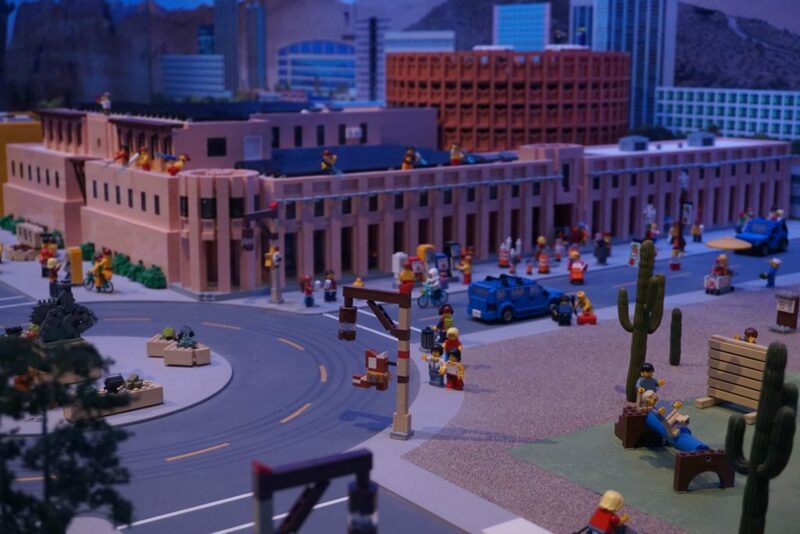 MINILAND is a separate area in the Arizona LEGOLAND Discovery Center, modeled after Phoenix and the state of Arizona as a whole. Some of the LEGO sets include Sky Harbor Airport, Downtown Phoenix, the Grand Canyon, Tempe, and the University of Phoenix Stadium. The sets are not only very detailed since they are made with LEGOS, but they are also educational for kids. My favorite part of MINILAND is the area that is western themed, from cowboys, to horses, to cactus. Another area in the LEGOLAND in Phoenix, Arizona is the LEGO DUPLO Farm. This is an area that especially the toddlers and preschool-aged children will enjoy. The LEGOS are larger in this area, making it easier for younger children to build. There is also a slide and a cow (that is not real) that kids can sit on. For the longest time, my son’s favorite song was Old Mac Donald Had a Farm so he definitely enjoys this particular area. There is also a separate area where children, with the help of their parents, can build race cars out of LEGOS. They then can race other cars down the ramps. This is another favorite – for both my husband and our son. 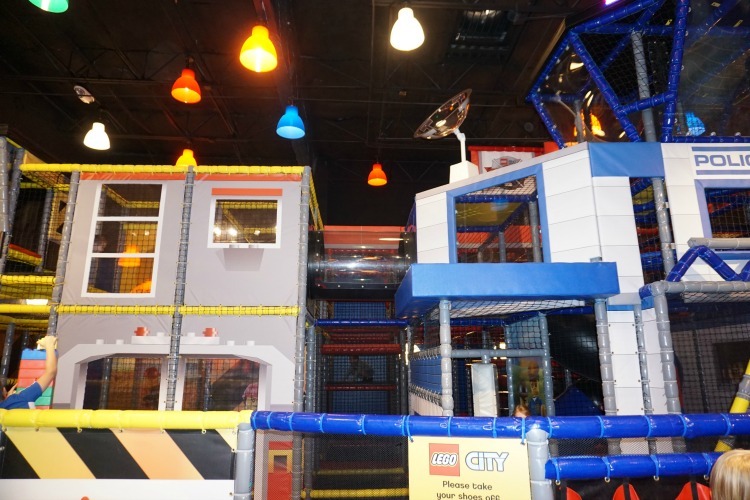 Another area that my son really likes at the Arizona LEGOLAND Discovery Center is the LEGO City: Play Zone. The play zone is basically a big jungle gym. My son could easily spend his whole time in the play zone. 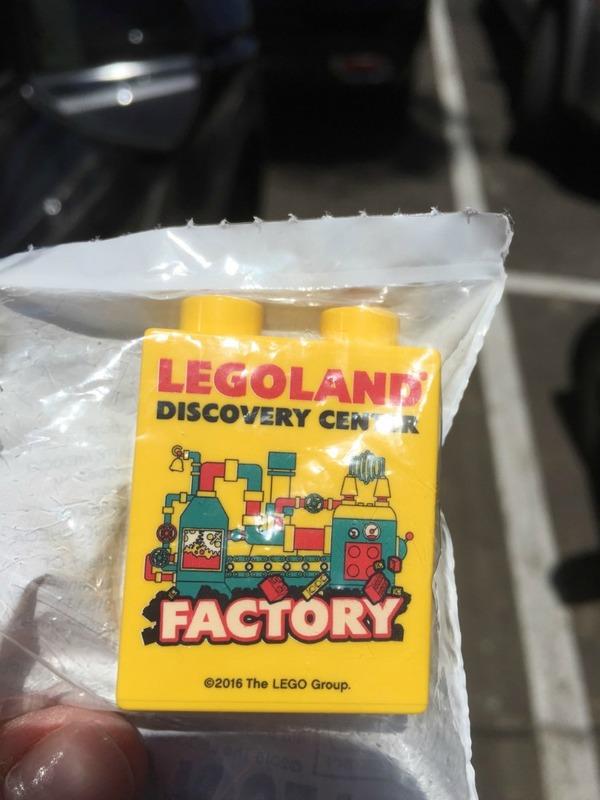 The factory tour is the first attraction guests will experience at the Arizona LEGOLAND Discovery Center. There, children can take a virtual tour of a LEGO factory as well as create their own LEGO figure. Once the tour is over, children are handed a brick as a souvenir. The Factory Tour is interactive, not to mention children will enjoy bringing home a souvenir. 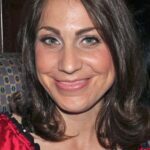 Photo credit: Kristi Mehes / Multidimensional TravelingMom. While the Arizona LEGOLAND Discovery Center is fun to tour year round, it’s especially nice to visit in the summer when temperatures reach triple digits! Fun to learn the details, and visualize a visit. Wow, this Legoland sounds so much fun. The amenities are great and ideal for family bonding. I’m sure the kids will love to visit here. Thanks for sharing this place and giving us more reasons on why we should check it out.